The RDM EC7512f series check scanner is specifically designed for low volume billers and small business merchants for Remote Deposit Capture, Electronic Check Conversion and Walk-in Bill Payment applications. All within a compact design, the RDM EC7512f offers connectivity to PC based applications through its USB 2.0 port. The RDM EC7512f includes duplex imaging and, through the use of RDM's patented Progressive MICR method, delivers superior MICR read rates right out of the box. It can additionally be configured with optional features such as a franking, internal alphanumeric OCR A and B character recognition, and 3 track bi-directional magnetic stripe reader (MSR). With 30 years of industry experience in MICR and Imaging technology, RDM stands behind the EC7512f series scanners with a standard 2-year warranty. 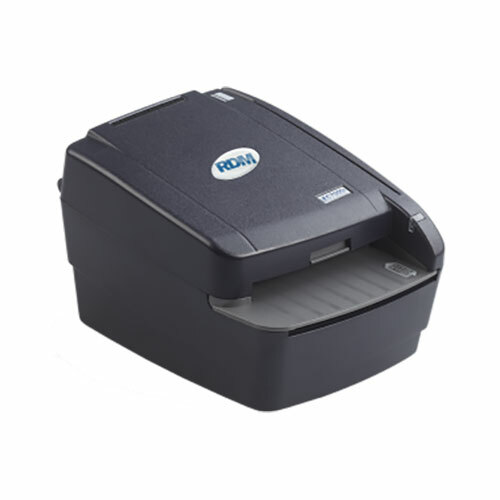 RDM's EC7512f series check scanners are engineered for maximum functionality with minimal footprint. 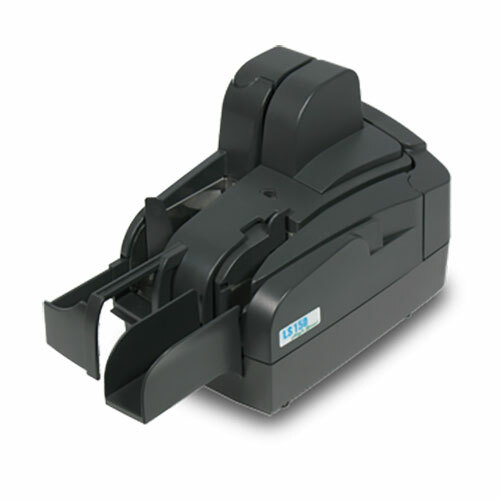 This line of compact scanners fits on your desktop or counter, meaning you can process payments with little impact on your working space. The RDM EC7512f check scanners offer duplex document imaging, incorporating RDM's industry-recognized MICR and check imaging technologies to consistently deliver precise MICR read rates and premium images that are fully compliant with industry standards. Like all RDM check scanners, each unit is factory calibrated before shipping, eliminating the need for timeconsuming field calibration and simplifying the deployment process. Do away with multiple payment devices for processing payments. With several features available, RDM's EC7512f series scanners enable you to process any combination of checks and remittances on a single peripheral device. They're also certified with, and connect easily to, many PC-based payment applications. Like all RDM check scanners, the EC7512f series has one of the longest lifespans and lowest costs of ownership in the industry. 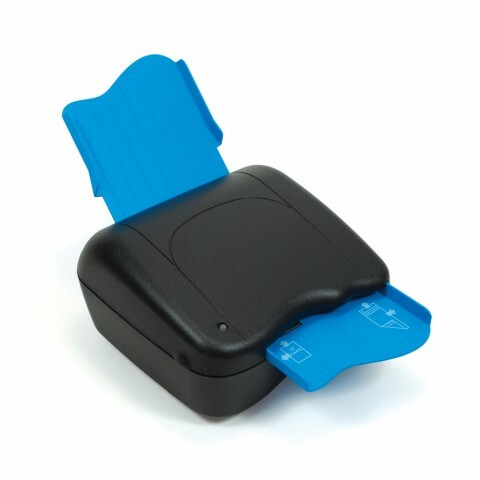 These devices handle your paper and card-based payments at an affordable price. 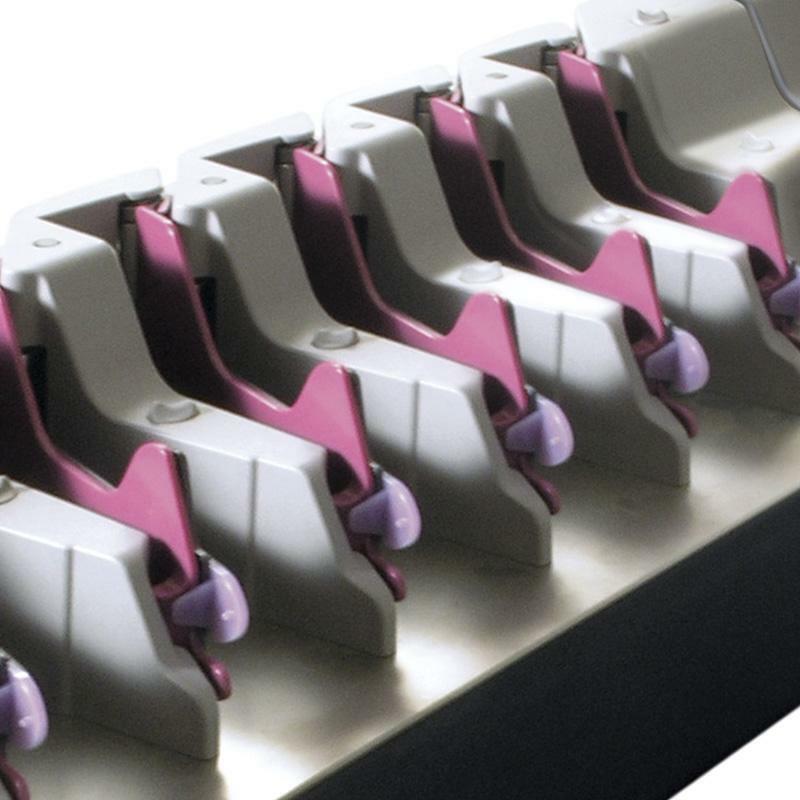 The low-cost, high-capacity franking cartridge helps to minimize your consumables expenses. You'll also experience reduced maintenance, support and training costs when compared to using multiple devices.  RDM's scanners have one of the industry's lowest field failure rates. Physical dimensions 8.6" x 6.1" x 4.4"
ADF Feeder Paper Size Width. 2.16" x 4.4"